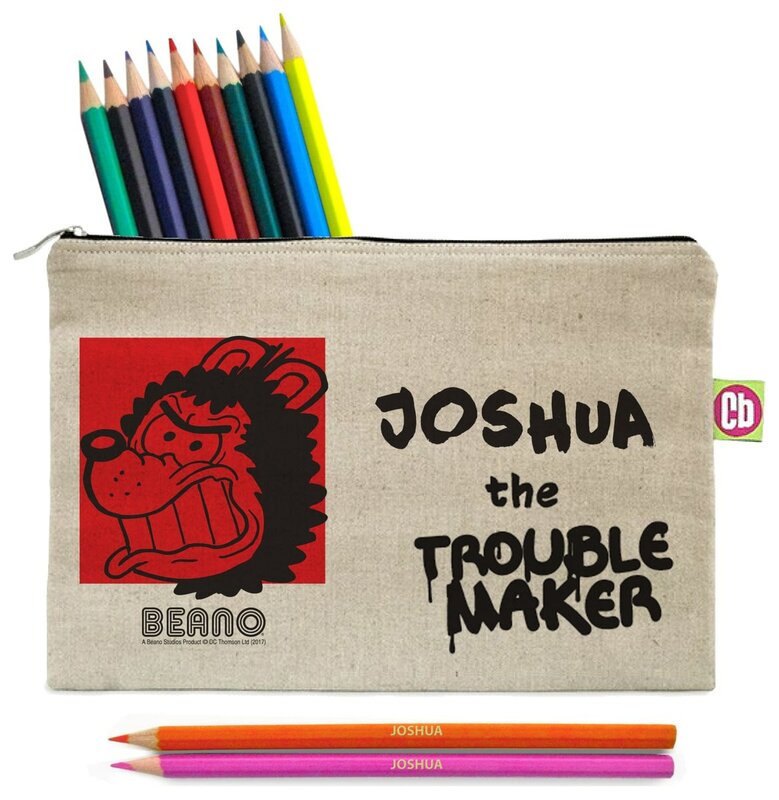 Personalise the case and the 22 colouring pencils with any name of up to 15 characters. The pencil case measures 25 cm wide by 16 cm high. In Stock, Dispatched in 5-10 days + delivery.